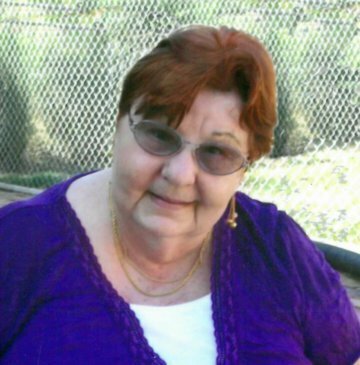 Elaine Mary Wooldridge nee White, of Saint Peters, Missouri, passed away on Friday, February 8, 2019, at the age of 78. Cherished daughter of the late Clarence Darrow White and the late Helen Frances Anslinger; devoted mother of Dave (Teresa) Thompson, Steve Thompson, and Daniel Wooldridge; loving grandmother of Christopher Thompson, Joshua (Michelle) Thompson, Candice (Mark) Shea, Nicholas (Amanda) Thompson, Ashley (Christopher) Stealey, Amanda Hessler, and Brandon Wooldridge; and treasured great-grandmother of six; dear sister of Joan Rita White. Elaine will be dearly missed by her family and friends. Memorials may be made in Elaine’s honor to No Time To Spare Animal Rescue and Sanctuary in Warrenton, MO. May you find unconditional love “over the rainbow” in the loving arms of Jesus. I will miss you.